Whisk New England Maple balsamic, olive oils and seasonings together in medium bowl. Add squash to bowl. Toss to coat well. 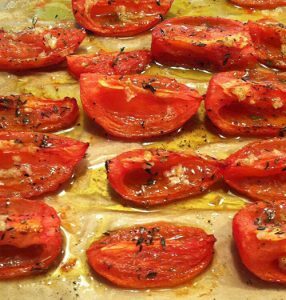 Transfer quarters or spread chunks in single layer in shallow baking dish brushed with olive oil. Be sure to drizzle any additional liquid evenly over squash. Roast, uncovered, approximately 1 hour and 20-25 minutes, stirring and basting squash every 15-20 minutes, until caramelized, with slightly crisp edges, and fork-tender flesh. © 2016 Gustare, LLC. All Rights Reserved.